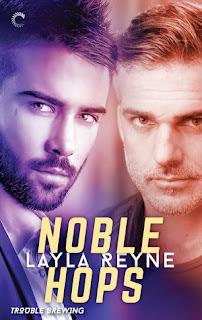 Author Layla Reyne was raised in North Carolina and now calls San Francisco home. She enjoys weaving her bi-coastal experiences into her stories, along with adrenaline-fueled suspense and heart pounding romance. When she’s not writing stories to excite her readers, she downloads too many books, watches too much television, and cooks too much food with her scientist husband, much to the delight of their smushed-face, leftover-loving dogs.